Celebrating Father's Day continues here on MOMM. Clean and simple are the themes of the day. Some new stamps from Mama Elephant were awaiting me in today's mail which I wanted to play with and what better excuse than I have to post on my blog? Self-enabling just got necessary now that I "have to" post on my blog. The keystone stamp set for this Father's Day clean and simple smorgasbord is Papa Love. 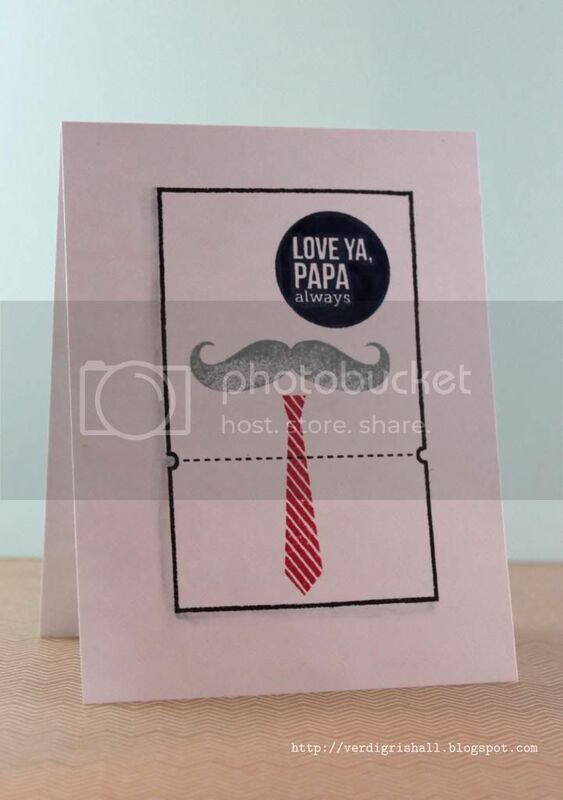 Packed full of great sentiments, a ticket frame and a few images, Papa Love will serve you well as a foundational stamp set for your stamping needs for guys. All of the cards are one layer and I added dimension with Copic markers. 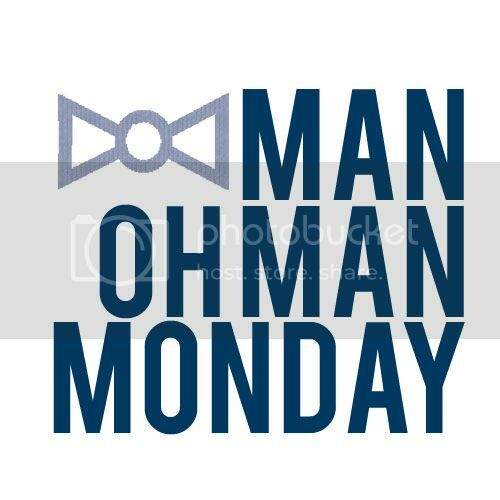 For my first card I decided to play with the moustache and tie images to create a man of sorts. I am hoping the circle sentiment comes off looking a little like a monocle. My next card plays off the "man of the house, king of my heart" sentiments paired with the little Leo lion in Cosmic Stars. I saw these and immediately had a vision of a card. The darling little heart is from Midnight Letters. Seriously, am lovin' on this little number. I also imagine changing out the lion for the ram, bull, scorpion, crab, fish or goat depending on the guy's astrological sign (my dad is a Scorpio and it would be awesome to do this card with that instead). 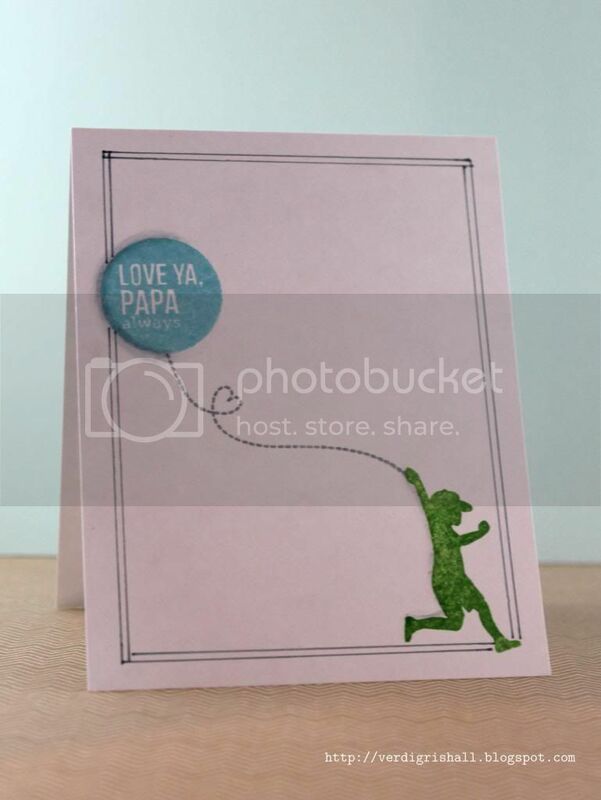 For my last card I paired Papa Love with So Breezy. I saw these two stamp sets and it clicked together to me. I added a hand drawn double border for just a bit more interest. Super simple cards, but so much fun. 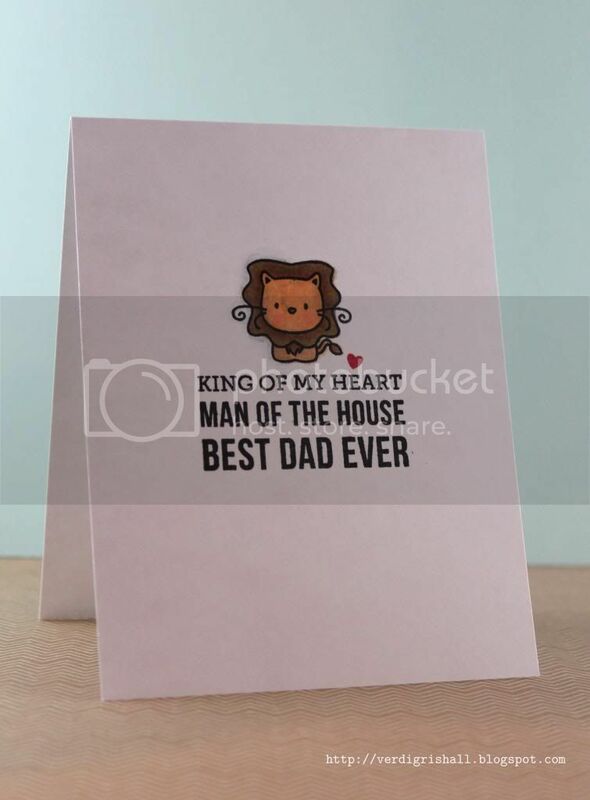 I hope you are inspired to create some Father's Day cards now too! Super cute cards, love the one with the little lion!